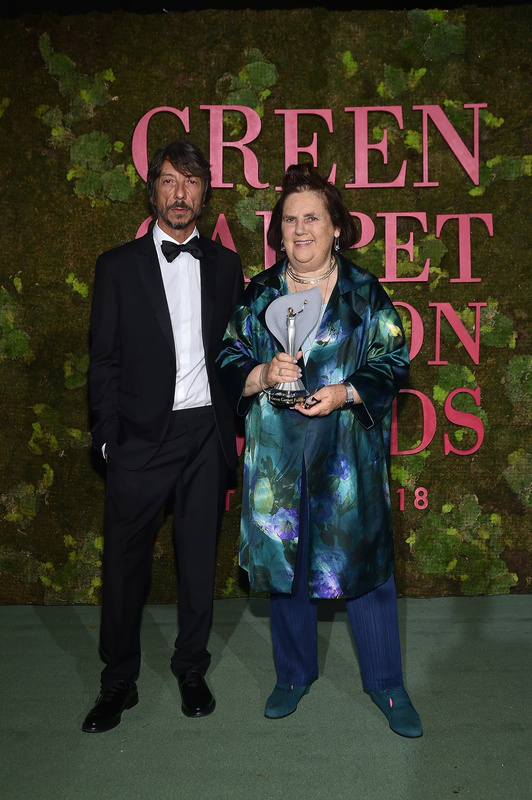 Pierpaolo Piccioli presented and gave The Visionary Award to Suzy Menkes. Colin Firth presented and gave The Handprint Award to Calabria Story. 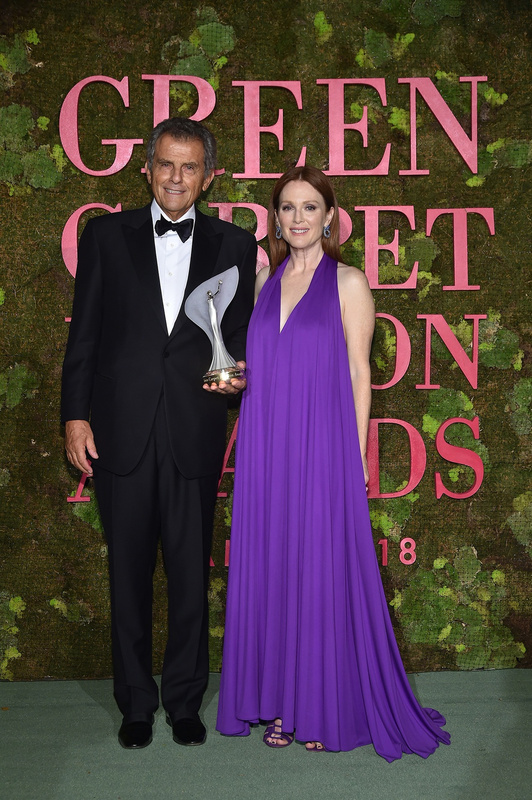 Julianne Moore presented and gave The Art of Craftmanship to The Cobblers of Salvatore Ferragamo. 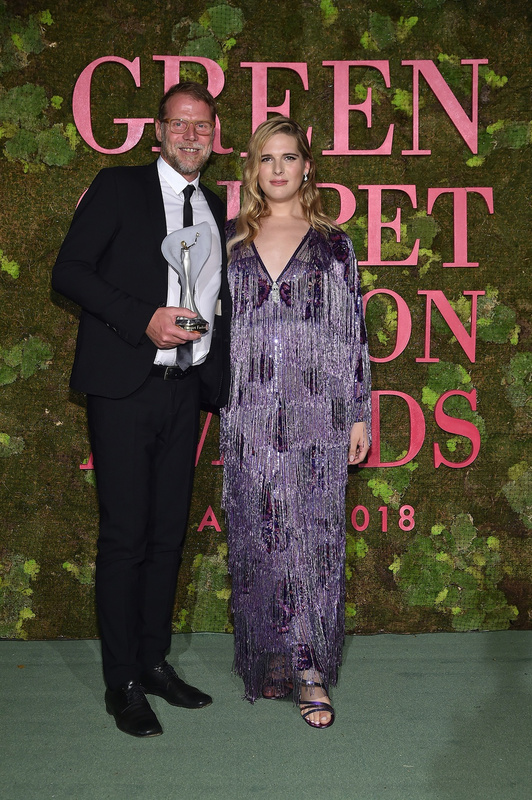 Hari Nef presented and gave the Technology and Innovation award to Frumat Leather. Alison Brie and Nerio Alessandri presented and gave The Wellness Award to Elle McPheron. Halima Aden presented and gave the Supply Chain Innovation award to Sourcemap. 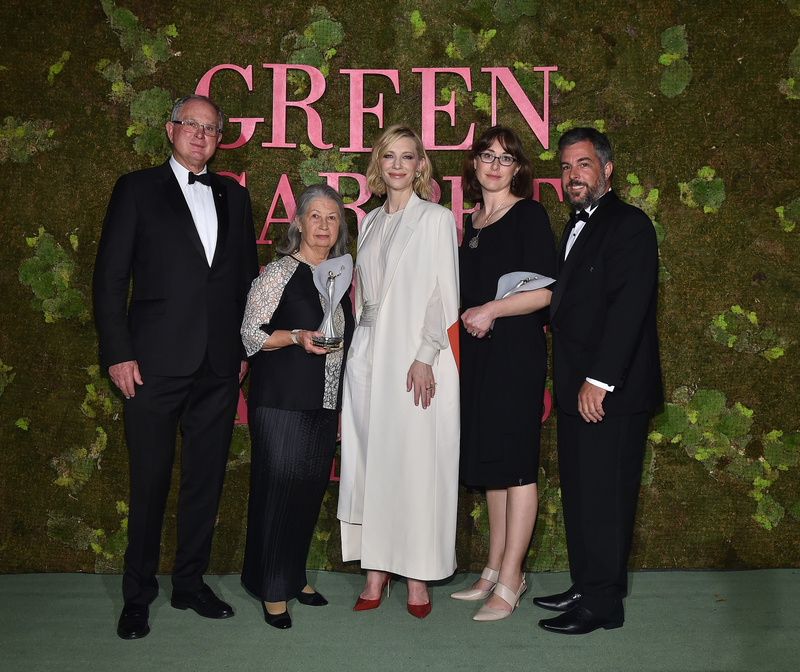 Cate Blanchett presented and gave the Eco Stewardship award to The Australian Woolgrowers. 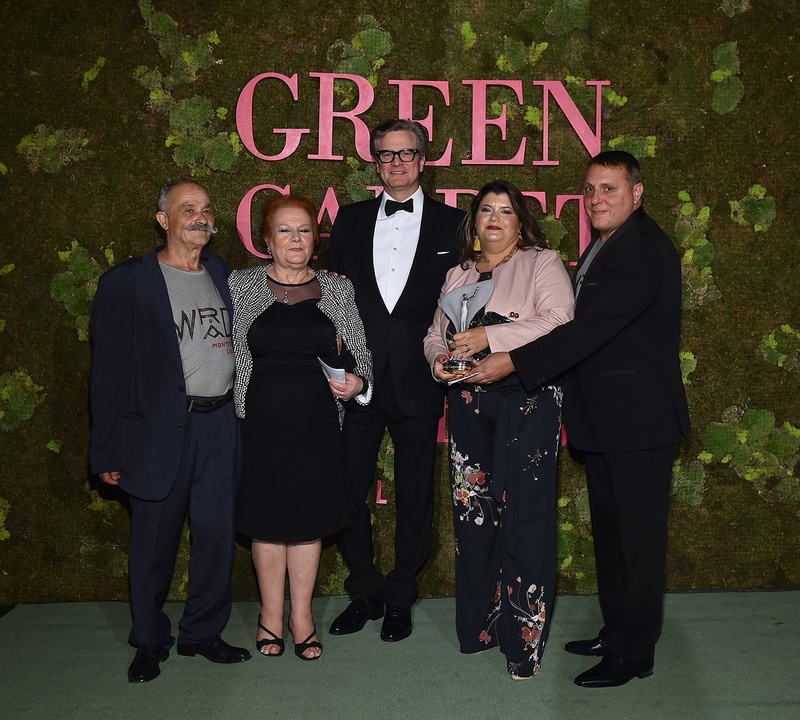 Petra Nemcova and Emily Ratajkowski presented and gave The CNMI Recognition for Community and Social Justice to Diego della Valle and Renzo Rosso. 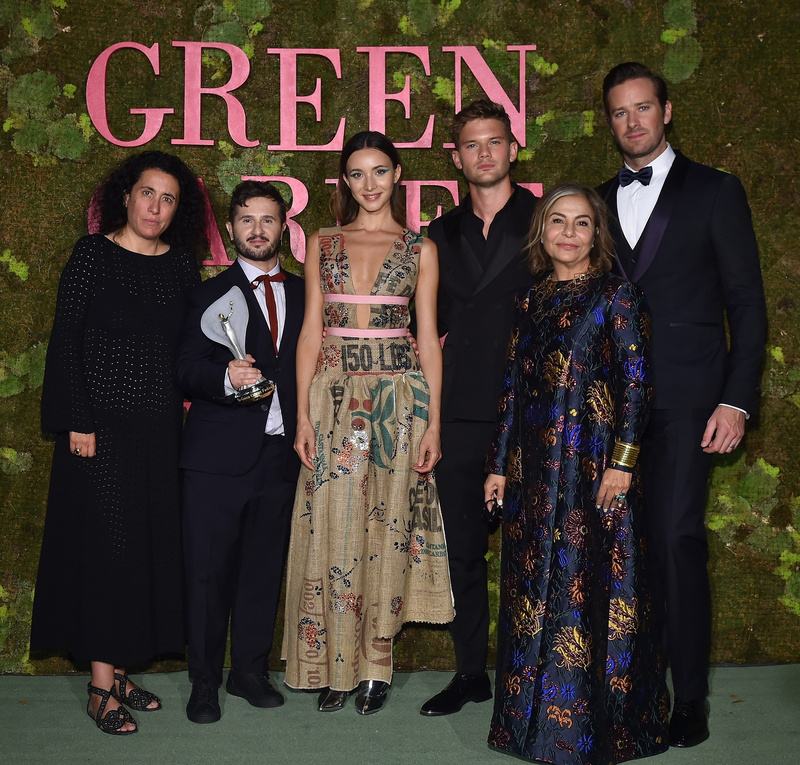 Jeremy Irvine, Armie Hammer, Desirée Bollier and Sara Maino presented and gave The Franca Sozzani GCC Award for Best Emerging Designer to Gilberto Calzolari. 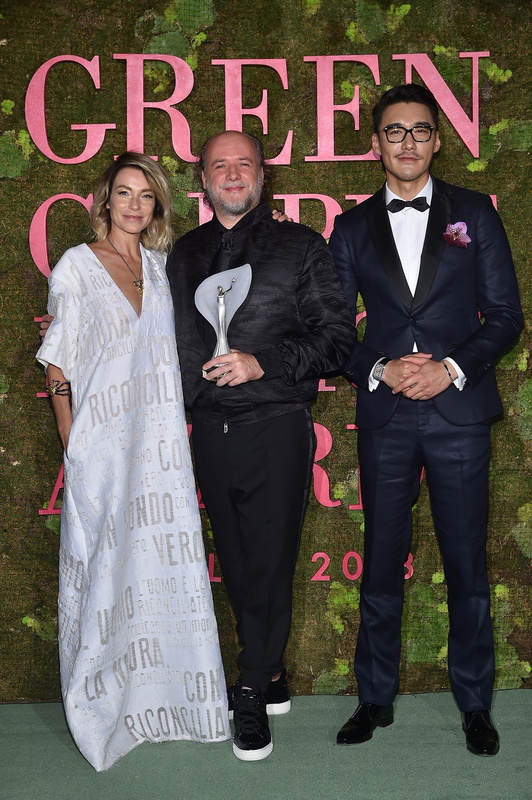 Stefania Rocca and Hu Bing presented and gave the Sustainable Producer award to Bonotto. Marco Bizzarri presented and gave The GCFA Award to Sinead Burke. Cindy Crawford presented and gave The CNMI Recognition for Sustainability award to Donatella Versace. 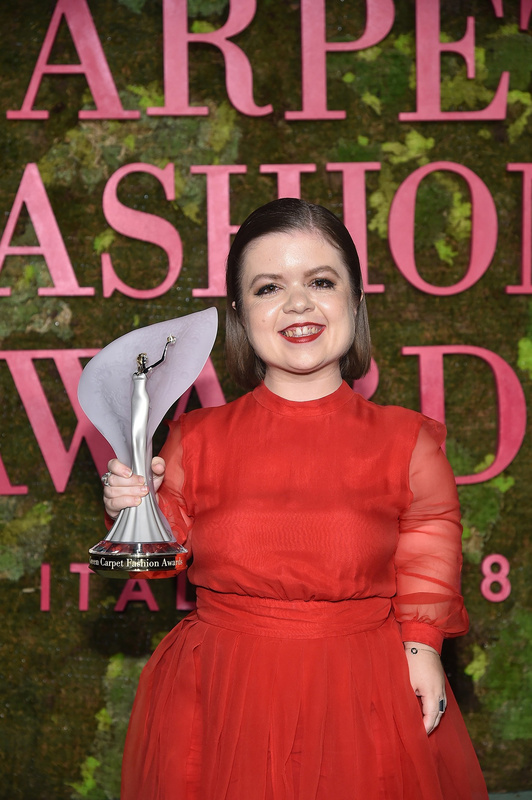 Angela Missoni presented and gave The Changemaker award to Cameron Russel.